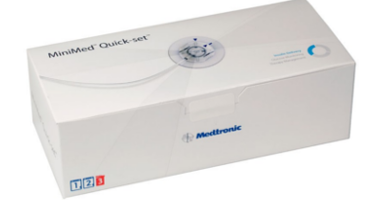 The Medtronic MiniMed Paradigm Quick-set infusion conveniently disconnects at the infusion site and offers a pre-attached adhesive for a discreet, low profile design. The Medtronic MiniMed Paradigm Quick-set 6/18" Infusion Set offers a 6mm soft cannula for mostly everyone and 18 inch tubing. The Safe Needle Disposal System of the Medtronic MiniMed Paradigm Quick-set helps prevent accidental sticking when disposing of the introducer needle in your sharps container.